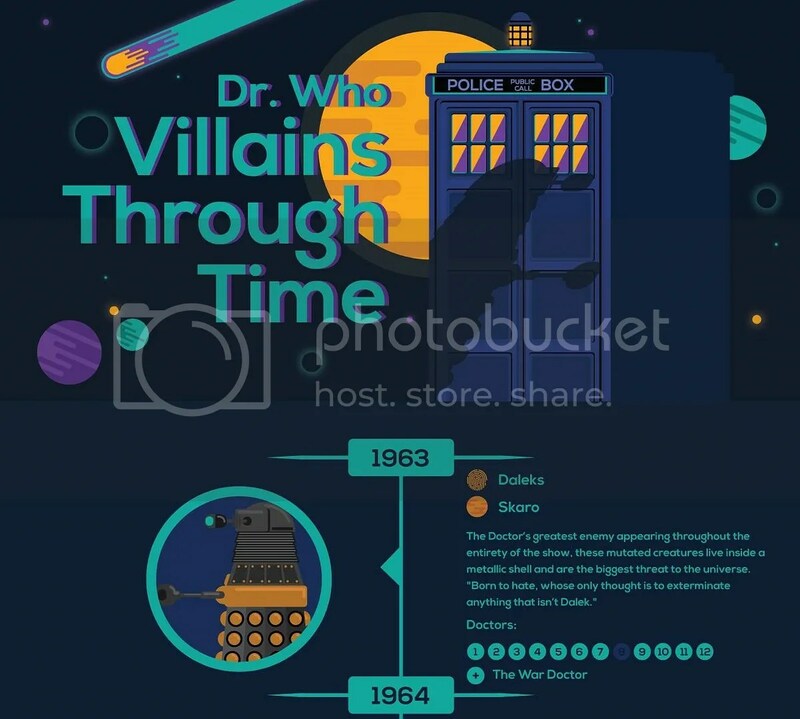 The fine people at WallpaperDirect.com have, for some reason, made a really nifty infographic about the classic villains of Doctor Who. Just like that costume shop that makes superhero infographics, apparently there is a select couple of artists who work for random store websites who have decided that geeky infographics are the best way to go viral. It must be working, because I saw this chart posted everywhere! I can only hope it has helped sell wallpaper. The full chart is a beast of a size, so join me after the jump to see the whole thing! And join me in wondering when Steven Moffat will finally bring back the Rani! Also, if the picture is too small to read, just give it a click and you’ll be able to increase the size. Posted on September 18, 2015, in Doctor Who, Television. Bookmark the permalink. Leave a comment.